https://apis.google.com/js/plusone.js Let’s face it Americans are stressed out and along with all that stress we get anxious. Between our jobs, family life, and the uncertainty about the future we are scared, nervous and sometimes we panic. I am all too familiar with anxiety and panic attacks as a stay at home mom of five. Four of them are ages 6 and under and two have special needs. My husband works in sales and he is on the road a lot so I take care of the kids by myself most of the time. I love all my children, however they don’t always listen and I get sick and tired of cleaning up their messes all the time. Like most stay at home moms a messy home and naughty children can cause me to panic and feel like I am going crazy. Thank goodness, Ozia Originals has this tasty candy made with all natural kava kava, lemon balm, and chamomile which are well known to relieve stress & ease tension. 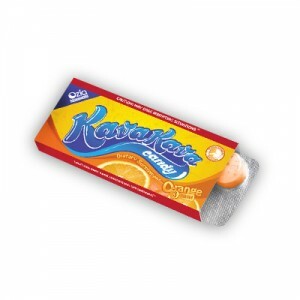 KavaKava Candy comes in a convenient little package that fits in your purse, car or medicine cabinet. When my kids make a mess and refuse to clean it up I simply pop a KavaKava candy in my mouth and within minutes I am more calm and better able to handle the situation. The flavor is sweet and tangy and has zero calories. For more information on KavaKava Candy visit http://kavakavacandy.com. Ozia Originals is also on Facebook, Twitter and YouTube. *Disclosure: I received two packages of KavaKava Candy in exchange for this review. All opinions are accurate and 100% mine.